With its high gross domestic product (GDP) per capita and investments in building a world-class infrastructure, Dubai guarantees strong returns for all international investors who are buying premium residential real estate in the UAE emirate, according to leading property developer Emaar. This is underpinned by Dubai's status as one of only 20 metropolitan areas in the Middle East and Africa (MEA) region compared to 51 metro areas in the US, 43 in Western Europe, 25 in Advanced Asia Pacific, 20 in Emerging Asia-Pacific, and over 103 in China. With the cost of residential property in premier locations such as Dubai Creek Harbour and Downtown Dubai at about $550 per sq ft, and the GDP per capita in the UAE at $40,698, analysts say the potential for growth for Dubai is higher than other major city hubs, it added. Despite its high GDP per capita, Dubai offers the most competitive residential real estate in its premium destinations. This has catalysed interest by high-net-worth individuals in investing in prestigious developments such as Dubai Creek Harbour, Downtown Dubai, Dubai Hills Estate, Dubai Marina and Emaar Beachfront. 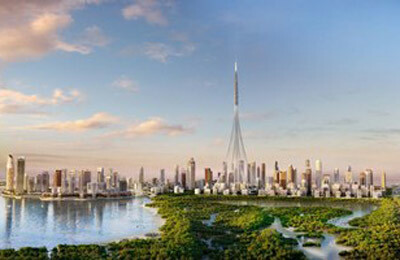 Emaar pointed out that Dubai's appeal was also driven by its improvement in cost of living ranking. According to Mercer, Dubai no longer features in the world's 25 most expensive cities - having dropped from 19th to 26th position. Meanwhile, Hong Kong, Tokyo, Zurich, Singapore, Seoul, Shanghai and Beijing - which have high residential property rates - are among the top 10 most expensive cities. Investors have a winning proposition in Dubai Creek Harbour, a master-planned destination located along the Dubai Creek, and anchored by the new global icon, Dubai Creek Tower, said the Dubai developer.